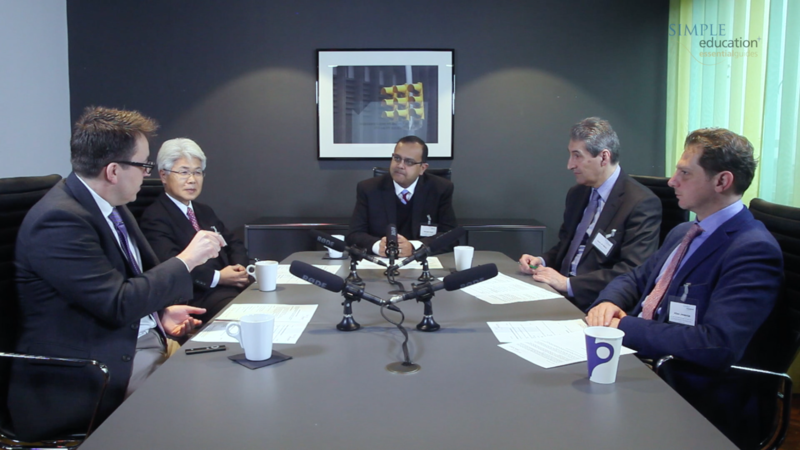 During the "Advances in Coronary Physiology" course in London 2017, Simple Education, in association with Radcliffe Cardiology, filmed a roundtable discussion focused around the impact of the DEFINE-FLAIR clinical trial results presented as a Late-Breaking Trial at the American College of Cardiology (ACC) 2017 on 18th March 2017. This discussion was moderated by Dr. Manesh Patel (Durham, US) who was joined by an expert group of physicians including Prof Takashi Akasaka (Wakayama, Japan), Prof Carlo di Mario (Florence, Italy), Dr. Justin Davies (London, UK) and Dr Allen Jeremias (New York, US). The meeting comprised of six panel discussions on a range of topical issues related to all aspects of coronary physiology. > SESSION 2 / DEFINE FLAIR – HOW SHOULD WE INTERPRET THE RESULTS?